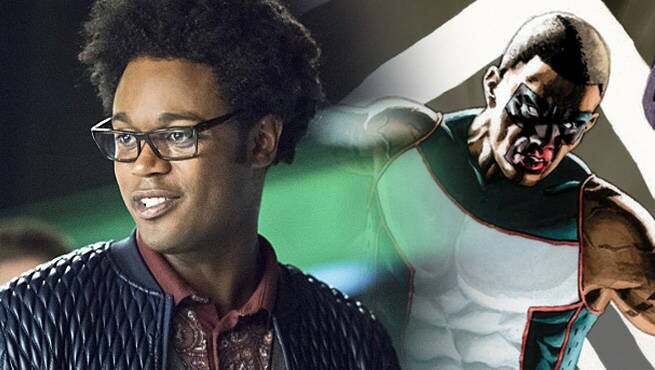 Team Arrow will get some much-needed reinforcements this season, one coming in the form of Echo Kellum's Curtis Holt. Holt has helped Team Arrow out before, but in the upcoming season five the actor will be taking a big step forward in his heroic journey, finally embracing the Mr. Terrific identity that fans know from the comics. Kellum recently spoke about his characters journey thus far, and where he finds himself at the beginning of Arrow season five (via ComicBookMovie). "You're going to see him fail and keep striving," Kellum explained. "There's something about Curtis that's very driven. I think you'll see some of the hurdles he'll have to pass. You'll see that his drive really pushes him through everything. Whether it was the Olympics or now getting into the field with Team Arrow, I think it's going to be a really fun journey." Kellum continued. "Curtis is in flux, professionally, right now. He loved his boss, he loved his CEO. He is loyal, he's still an active worker, I think Curtis still works there, but we haven't talked about it. I feel like it might be a solidarity thing, like, if Felicity is gone, then I'm gone too. Maybe." Kellum then gave us a timeframe for the transition and told fans that "The mask is happening this year. You can definitely expect it in the first nine." It should please Arrow fans to know they won't have to wait much longer to see Kellum assume the role. Arrow returns to The CW on October 5th, 2016.